Kathy is an amazing writer in her own right so please check out her books as well! New Book Release! I HAVE ALWAYS WANTED TO … How almost losing my life inspired me to start living it! When the author was diagnosed with uterine cancer in December of 2015, she saw her life flash before her. So many things left unsaid, undone, and incomplete. There was still so much this 51-year-old wanted to do but she had been putting them off until “someday” then she realized someday may never come, and the time to start living is now. Disliking the term “bucket list” she began to write down what “I Have Always Wanted To … “ things she wanted to do with her life, places she wanted to see, people she wanted to meet, and she started doing them. She also created a Facebook page with the same name to encourage others to do the same. In this humorous and moving book, you will be inspired to live in the moment and begin to truly experience the life of your dreams! Note: Lisa is now cancer free and is grateful to God every day. Available now for Pre-Order on Amazon! My mother Victoria was a third generation psychic medium. She knew things, she saw things, but she never told anyone. Well, sometimes she did but she grew up in an age where if people heard or saw things that weren’t really there, they were locked away in a rubber room. So she kept quiet. I grew up with more mediumship abilities than psychic and I am a natural born empath. What is an Empath? 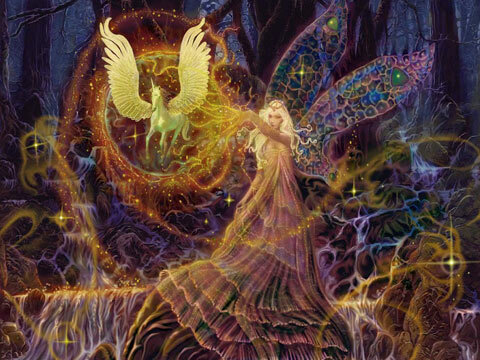 An Empath is a person who can psychically tune into the emotional experience of a person, place, or animal. At one time, it scared me to be so sensitive to sounds, energy, and vibrations but now I embrace it. Sometimes people don’t get me, and that’s okay. I can smell a phony a mile away and I have no problem cutting people out of my day, my conversations, my time, or out of my life. Once I do, it’s over, and I never look back. I shut down, go quiet, and need to regroup sometimes to avoid becoming overwhelmed. I cannot handle other people’s drama or negativity for too long without feeling uneasy. Oftentimes people try and take advantage of my time and energy and sometimes I let them just to see how far they will go. When they go too far, I unplug from them and the holes in the outlet close. I have a very small circle of people in my life who understand this. If you are one of them, I cherish you. From the author of the best selling book Weedmonkey comes the haunting story of a shattered life and the broken woman who was plunged into the depths of madness after tragedy destroys her world. On April 30, 2006, Elizabeth Frost lost her mother. Three weeks later, on June 4th, her fiancé’ was killed on a construction site in Virginia. A month later, on July 15th, her brother committed suicide leaving behind two young children who were killed in a car accident on September 18th. Falling back on her ex-boyfriend she tries to rebuild her life only to find him dead of a drug overdose on October 31st. So Lisa, this is your 10th book. What would you like readers to know about it? Well, it is based on true events but I have written it with a twist. That sounds intriguing, can you elaborate? Let’s just say that everything in the book is true … almost. Your last book WEEDMONKEY is an Amazon bestseller and ranked you into the Top 100 Authors on Amazon. Does this book have a similar theme? Well, Weedmonkey was based on the life of my mother Victoria and took place during the Depression. 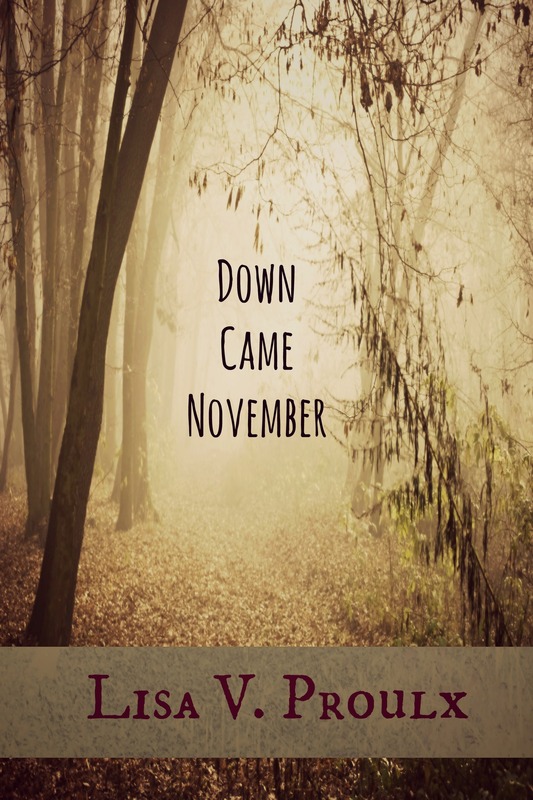 Down Came November is based on tragedies that befell me after my mother passed away. Weedmonkey was her story, this is mine. How long did it take you to write this new book? It took me just a few months. I actually came up with the title about eight years ago. That’s how I do it. I come up with the title first then write a story around it. In the book you talk a lot about a dog named Kurgan. Was he really your dog or was he a made up character? No, Kurgan was the love of my life! He was a pure bred Rottweiler I got when he was just 10 weeks old and I lost him on March 12, 2013 when he was 15 years old. Wow, that is old for a Rottweiler! Do you have any other pets? Yes! I lost two dogs last year and two dogs this year. I now have one dog left, a black Rottweiler named Vladimir but his nickname is Vladdy. He will be nine on Christmas day. I have also several cats; Scotty, Midnight, Vinnie, Egypt and Fluffer. Actually I have about 15 books in my mind to get started on and am working on my next one now. I try to stay focused and do one at a time but I have been known to work on two and three at the same time. How can you do that? That sounds crazy! It is, but I like to go back and forth to keep it fresh. However lately I have just been working on one at a time. Do you have another job other than author? I have been a feature writer and columnist for The Brunswick Citizen newspaper for 15 years. I am also a local artist who created Magic Forest Gypsy Stones which are bohemian and whimsical rock art. Wow, you have so many talents! What did you want to be when you were a child? What advice would you give someone who wants to be an author? Well, it sounds cliché’ but don’t give up. I’m serious. If you really want to write then write. I have often been discouraged and was just about to hang it up when Weedmonkey took off! Just keep at it, keep writing and keep promoting. Put in the effort and it will pay off. What is the best advice you could give someone about using social media? First off, you must engage with other people. Do not and I repeat do not get on sites like Facebook and Twitter and say Hey buy my book!!! People will turn off from you real quick! You must make friendships, build relationships, again engage, retweet them, like their pages and so on. It takes time but like I said before, put in the effort. How important do you think it is to have an editor? It is vitally important! Most writers are not editors and most editors are not writers but for some reason they fit together nicely. J I made the mistake of putting out one of my books unedited thinking that it was some sort of masterpiece or something. It got a lot of reviews and most of them were horrible! Bad grammar, poor sentence structure and so on. It made me sick! But at the time I couldn’t afford an editor. It was a catch 22. So when I could afford one, I hired her to edit it for me. Now I would never, ever send out anything without an editor, ever! What if a new author can’t afford an editor? Like you said you couldn’t at first? Check around, ask other authors, posts your requests, etc. I found one author who does editing on the side and at very reasonable prices. Also, you can offer trade. Work out something where you will promote her services if you get a discount. Oftentimes editors are willing to work with new clients on fees, esp if the editor is just starting out. Others are not and their prices are fixed. You just have to live and learn. I am a Bohemian rocker chick with a goofy sense of humor. I am loyal and honest. I love to bake and cook and I love to spread positive energy to everyone I meet. I also believe in magic! Who do most people say you remind them of? Thank you Lisa for taking the time to speak with us today! Where can readers find your new book? All of my books can be found on Amazon.